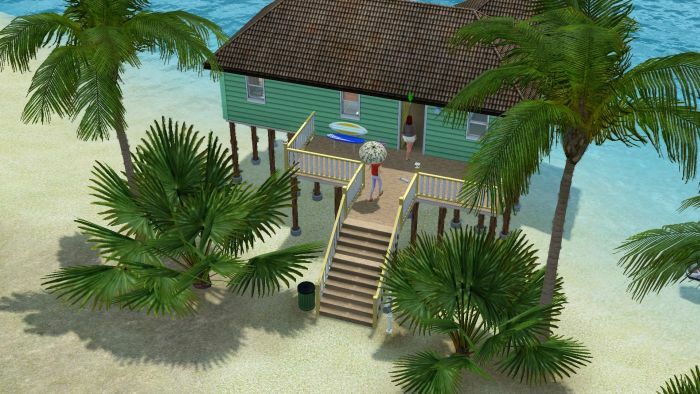 The Legacy Continues #TS3 #TheSims3 – Nomadic Gamers, eh! When we last left my legacy family, things were going well but I was starting to have a few issues controlling my household. So, some changes had to happen. For those who remember, a legacy family is where you play the same family for 10 generations, and try to expand that generation while you start from pretty much nothing. I had a lot of fun trying to upgrade my toilet and wall house but thankfully I’ve moved past that. My household was three generations all living together. There was my founder Sim, her husband having passed on. Then there was her twin daughters, Emily and Jessica. Emily got married young, to Bob, and together they gave birth to Ginger. Jessica prefered women which I have absolutely no issues with except my strict legacy rules said that the next generation had to be of blood, so that ruled out adoption. Technically she could find some male to help her out but I decided to not force that upon the poor Sim, and just left her and her partner Yvette together. My legacy founder was over 110 sim days old and simply refused to die. 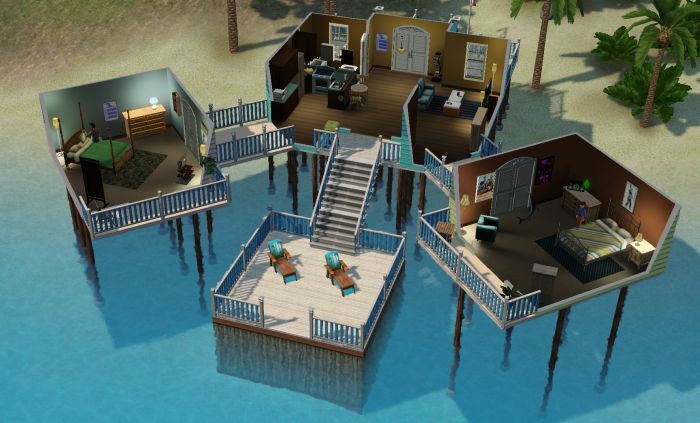 I didn’t want to kill her off, but I did want to make my household smaller and still play within my own ‘rules’. So Emily decided enough was enough and had a mini break down. Tired of the fast paced life of Twinbrooke, she decided to pack everything she could up and move to Isla Paradiso. Bob her loving husband (who is an elder, didn’t really plan that one out very well) and her daughter Ginger accompanied her, but everyone else stayed behind. Since they only get whatever cash they had and none of the household items nor the old house came with them, it dropped their household from $80,000 down to $25,000. That money is what I used to purchase their island home pictured above. Although I did have to build Ginger her bedroom, the house only came with one. Life in Isla Paradiso is much different than it was in Twinbrooke. Their main mode of transportation is the skidoo they have docked out back. The neighbours also have an awesome house, I sent Ginger over there with cookies for a meet & greet. Speaking of, Ginger is about to be a teenager, and then it will be up to her to carry on the legacy line. Thankfully her upbringing is going MUCH smoother than it did for Jessica and Emily, and she should have an easier time of things.